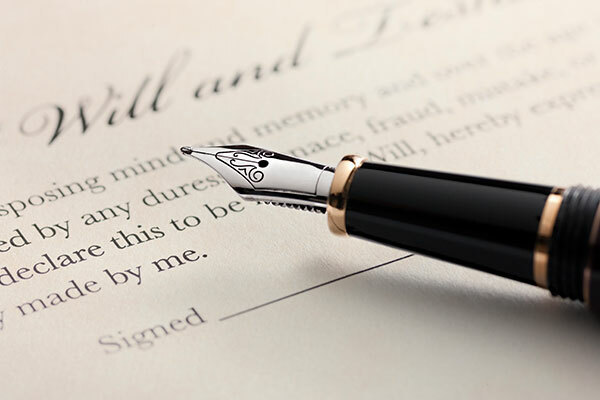 Morris Laing offers a comprehensive array of estate planning services that includes Wills, Trusts (revocable, irrevocable, simple and complex), powers of attorney (financial and health), living wills, and any other documents necessary for your specific needs, along with relevant tax planning (estate, GST and income). With more than a half century of experience in this area, Morris Laing is particularly adept at developing and executing estate plans tailored to each client’s circumstances and goals. Our services range from simple estate plans, where tax planning is not a factor, to combination business-and-estate plans that may encompass succession planning, exit strategies, charitable giving, comprehensive tax analysis and more. Clients also benefit from the firm’s expertise in tax law, not only as it relates to estate planning decisions, but also by having the firm prepare estate and gift tax returns and provide complete representation in all tax matters. Members of the firm maintain an extensive practice in tribunals, including all Kansas and Federal District courts, the U.S. and Kansas Courts of Appeal, the Kansas Supreme Court, the U.S. Tax Court and the Kansas Board of Tax Appeals. Some members of the firm also have CPA certificates and MBA’s.